This Saturday I'll be back at OLD SPITALFIELDS MARKET in London for the fabulous SO VINTAGE LONDON fair!! 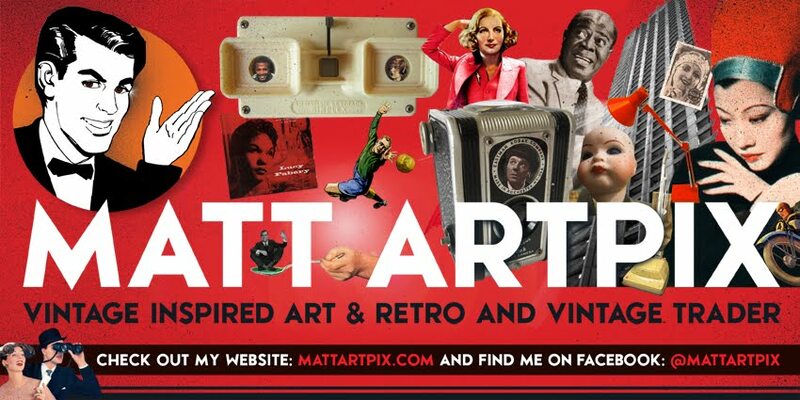 With me I'll my vintage inspired art as cards, frames and magnets alongside some amazing and unusual vintage items. Plus this time I'll have my popular DECADE and RETRO FOOTBALL PACKAGES, which I managed to forget to bring with me last time!!!! I'm sharing the stall with ARCANE PUBLISHING, who have their sizzling stock of vintage and hard to find books and also their own new novels, I AM A MUSE and THE BOOK OF THOTH. 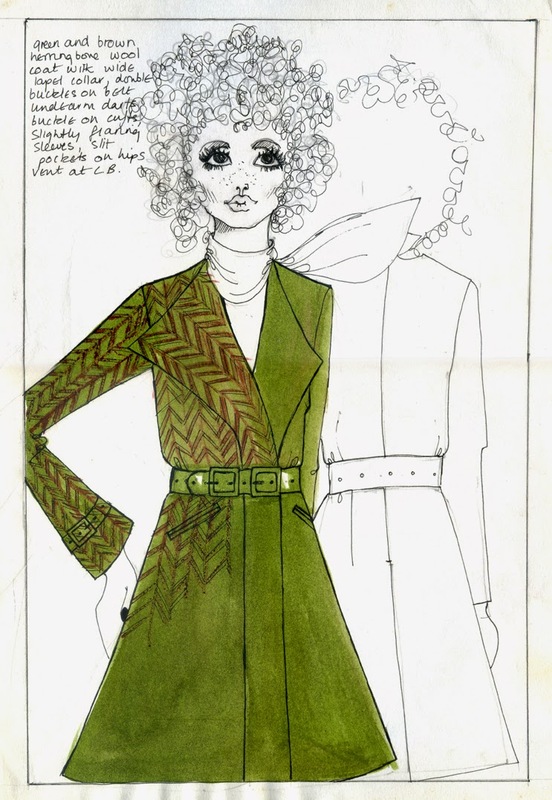 A very rare fashion student's portfolio from the late 1960s and early 70s. This groovy collection is a fashion fan's dream!!! It contains over 120 hand-drawn original designs and illustrations, with some amazing and unusual creations. It also has a scrapbook with original magazine cuttings. If you love the 60s, you'll love this!!!! So come along for a fantastic day out in an iconic place and soak up the atmosphere. Kick off is officially at 11am until 5pm, but come along earlier if you like, as entry to the whole market is FREE!! A sample of the groovy designs you can find in this portfolio! 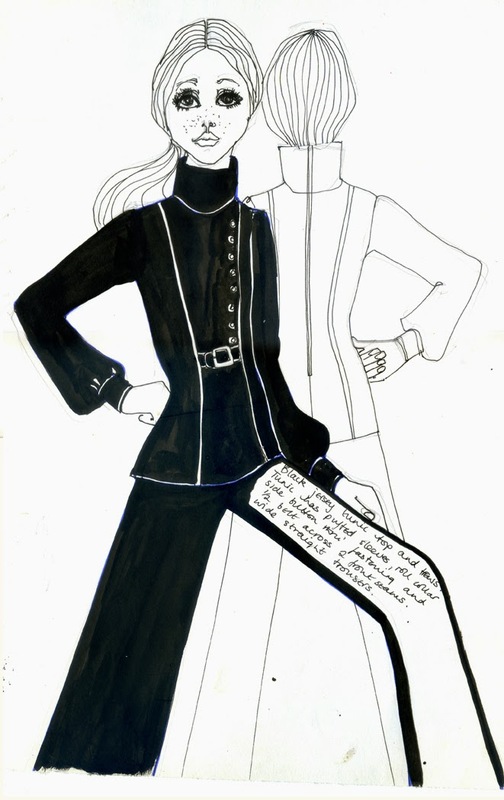 Fabulous illustration for a black and white outfit! 2015 – THE YEAR OF ANNIVERSARIES!